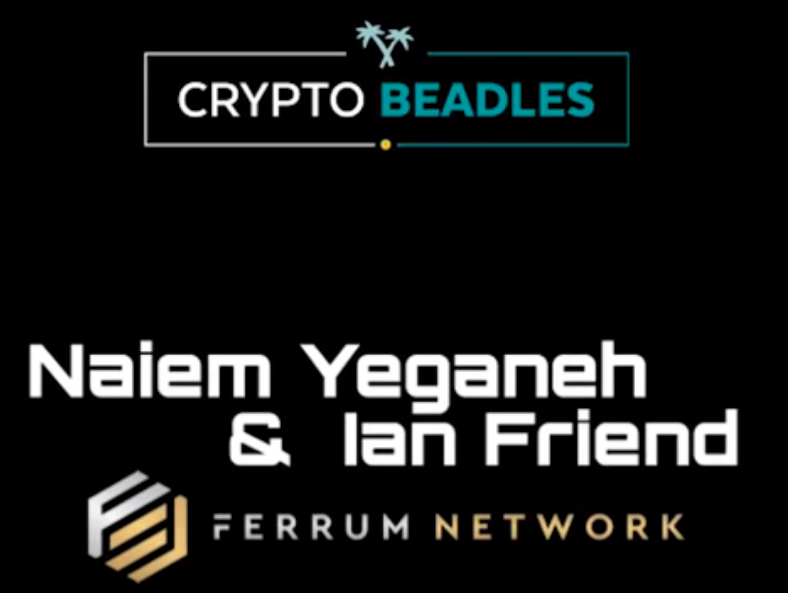 Crypto Beadles X Ferrum Network Interview! On Friday April 5, 2019, Naiem and I had a blast being interviewed by one of the most respected and trusted influencers in crypto — Crypto Beadles! We want to thank Robert personally for not only putting together a great interview, but for being a great overall guy who has been pushing the space forward in a positive direction since the early days. Keep it up! You can check out the You Tube interview to hear our wide ranging discussion of our high-speed interoperability network that connects to any blockchain, and the products running on top of our network — the Infinity DEX (high-speed cross chain DEX), UniFyre Wallet (non-custodial wallet for risk-free OTC trading), Sub-Zero Wallet (ultra cold storage on an offline Android phone) and the Kudi Exchange (Africa’s 1st fiat gateway + fiat payments app with native support for U.S. Dollar stable coin). We hope that after watching the interview you will have a greater understanding of what why we decided to tackle the problems of interoperability and scalability, and how our products are already solving real-world financial problems for thousands of people. Also go to the video on Crypto Beadles You Tube channel and follow the steps for a chance to win $100 ETH from the Crypto Beadles himself! Check out the Get Schooled Bounty Part 2 for information on how to earn $10 in tokens just for learning about Ferrum Network and inviting your friends to the community.